Don’t buy new or used part, send your original for repair and Save Hundreds! 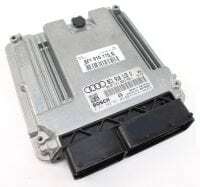 This is a Repair and Return service for your existing Engine Control Module of your VW Jetta (2002-2006) 2.5L/2.8L ECU/ECM/PCM. Fast & Easy 24 hour turnaround. Our service is 100% guaranteed or your money back. Order today and save! Don’t buy new or used part, send your original for repair and Save Hundreds! This is a Repair and Return service for your existing Engine Control Module of your VW Beetle (2002-2005) 1.8L/2.0L ECU/ECM/PCM. Fast & Easy 24 hour turnaround. Our service is 100% guaranteed or your money back. Order today and save! Don’t buy new or used part, send your original for repair and Save Hundreds! This is a Repair and Return service for your existing Engine Control Module of your VW Beetle (2004-2005) 1.8L/2.0L ECU/ECM/PCM. Fast & Easy 24 hour turnaround. Our service is 100% guaranteed or your money back. Order today and save! Don’t buy new or used part, send your original for repair and Save Hundreds! This is a Repair and Return service for your existing Engine Control Module of your VW Beetle (2009) 1.8L/2.0L ECU/ECM/PCM. Fast & Easy 24 hour turnaround. Our service is 100% guaranteed or your money back. Order today and save! Don’t buy new or used part, send your original for repair and Save Hundreds! This is a Repair and Return service for your existing Engine Control Module of your VW CC (2009) 2.0L ECU/ECM/PCM. Fast & Easy 24 hour turnaround. Our service is 100% guaranteed or your money back. Order today and save! Don’t buy new or used part, send your original for repair and Save Hundreds! This is a Repair and Return service for your existing Engine Control Module of your VW Rabbit (2006-2009) 2.5L ECU/ECM/PCM. Fast & Easy 24 hour turnaround. Our service is 100% guaranteed or your money back. Order today and save! Don’t buy new or used part, send your original for repair and Save Hundreds! This is a Repair and Return service for your existing Engine Control Module of your VW Golf GTI (2004-2006) 1.8L ECU/ECM/PCM. Fast & Easy 24 hour turnaround. Our service is 100% guaranteed or your money back. Order today and save! Don’t buy new or used part, send your original for repair and Save Hundreds! This is a Repair and Return service for your existing Engine Control Module of your VW Golf GTI (2006-2013) 2.0L ECU/ECM/PCM. Fast & Easy 24 hour turnaround. Our service is 100% guaranteed or your money back. Order today and save! Don’t buy new or used part, send your original for repair and Save Hundreds! 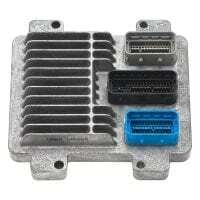 This is a Repair and Return service for your existing Engine Control Module of your Pontiac Grand Prix (2004 – 2007) ECU ECM. Fast & Easy 24 hour turnaround. Our service is 100% guaranteed or your money back. Order today and save!